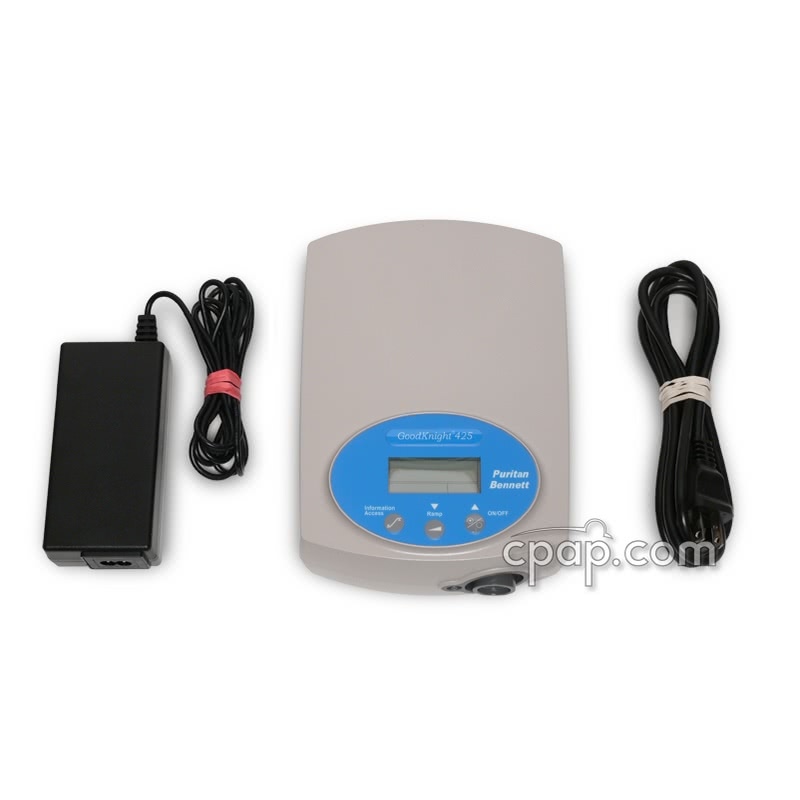 Newer Model Available: Sandman Duo BiLevel CPAP Machine with Built In Heated Humidifier.
" Great Machine---compact, light and senses your breathing and immediately responds. " " I think this product is great works just the way I need it to. 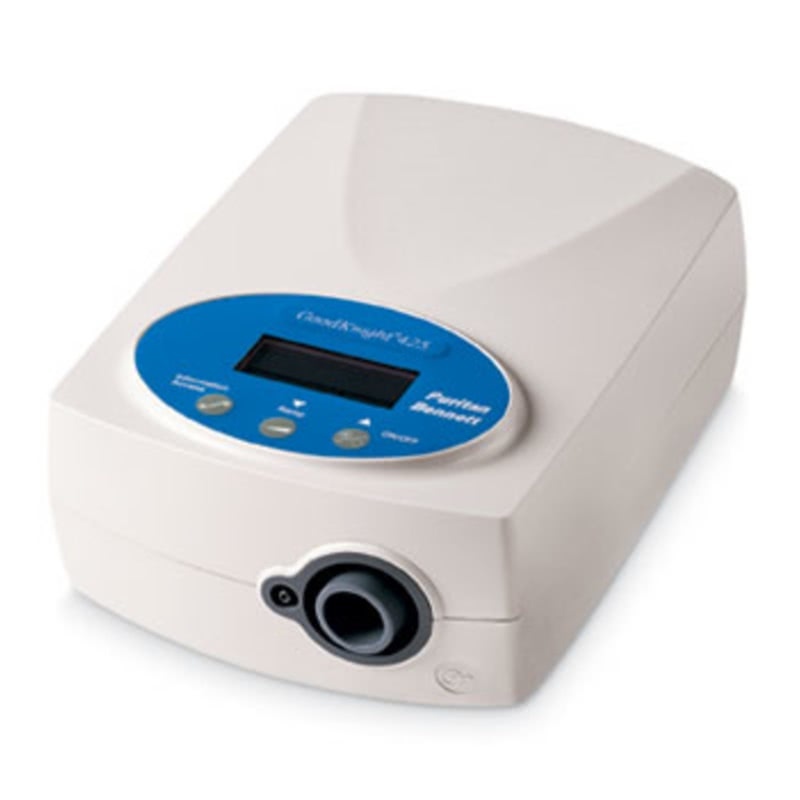 And thank you for the prompt delivery "
This is a bilevel machine which differs from a CPAP in that it switches back and forth between two pressure levels, one higher and one lower, rather than providing one continuous pressure level. The pressure upon inhalation is higher to hold the airway open, but as the user exhales, the pressure drops to a preset lower level. 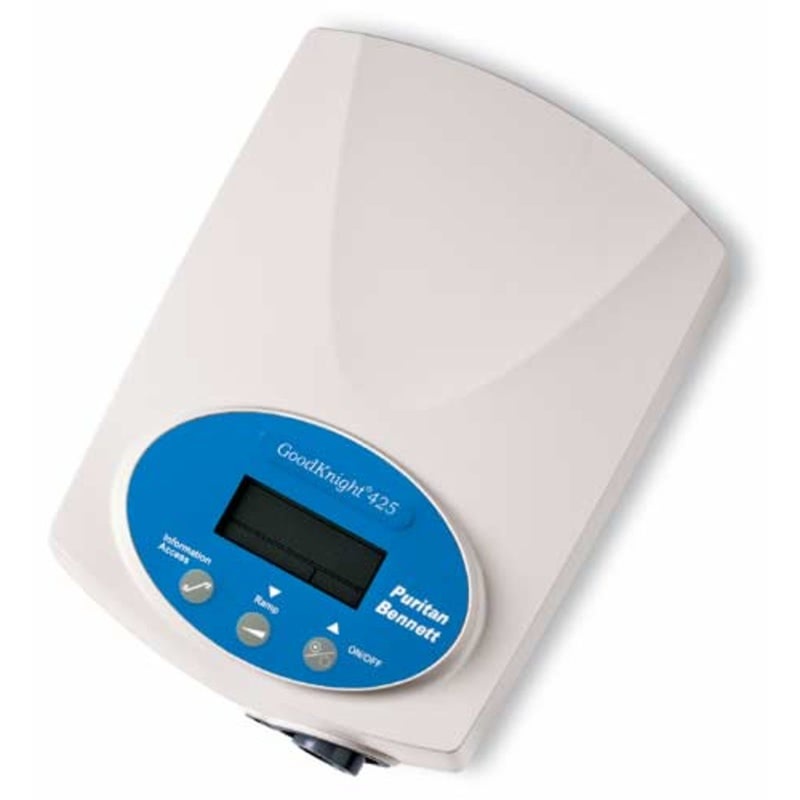 A bilevel machine responds well to people with very high CPAP pressure needs, weak chest wall muscles, lung disease or other health problems that keep them from being able to exhale against a CPAP pressure. Bilevel is the generic term to describe these machines. 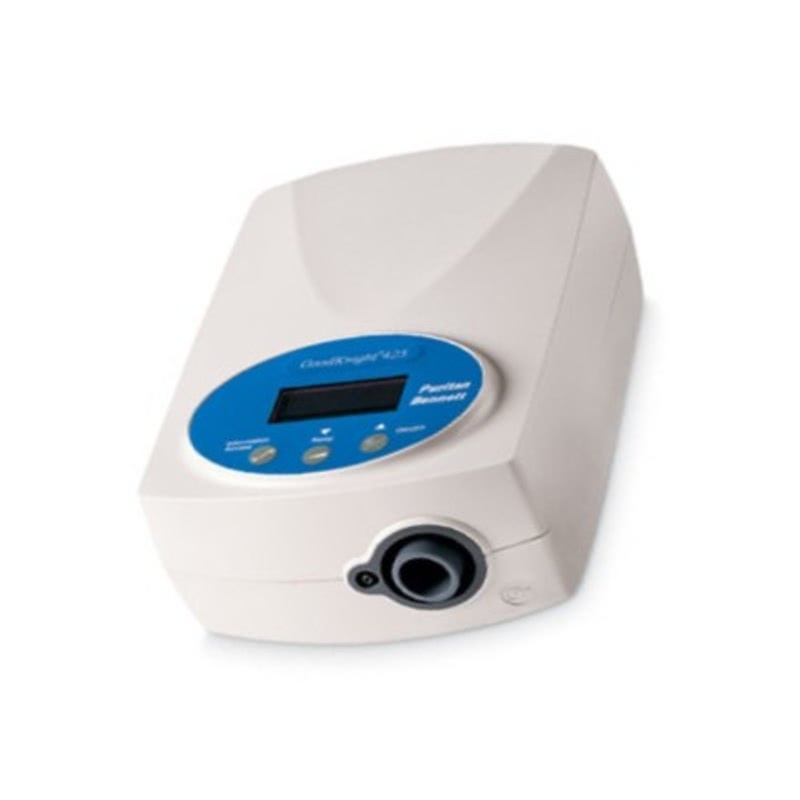 BiPAP, for Bilevel Positive Airway Pressure, is registered with Respironics; ResMed uses VPAP for Variable Positive Airway Pressure. 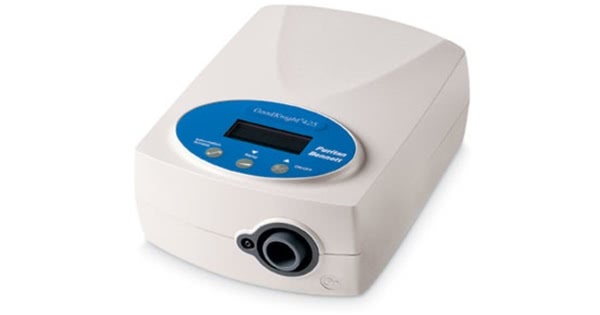 Smallest, lightest Bilevel, BiPAP or VPAP on the market. SilverLining 3.10 Data Management software option to download compliance and session data. Direct DC operation without the need for a DC/AC inverter, just a cable and adapter which are sold separately on our site. 2 year manufacturer warranty against defects. Weight Bilevel: 1.54 lbs. ; Power Supply Module (included): 1.16 lbs. ; Total weight 2.7 lbs. Bilevel machines come with a six foot hose, a travel bag and manuals. Masks are not included and must be purchased separately. We will be happy to help you with sizing and offer suggestions on current popular masks. The 12 volt jack on this machine is not the same size as the 420 series cpap machines. Use the Respironics "12volt DC Power Cord (to connect CPAP to cigarette lighter socket)" for battery operations. Part # 1001956.